Twentieth Century Fox Film (TCFF) today announced the acquisition of Technoprops, as well as a multi-year agreement with the Company’s founder, Glenn Derry, who will serve as Vice President of Visual Effects and oversee virtual production efforts. Derry, whose appointment is effective immediately, will be based in Los Angeles and report to John Kilkenny, TCFF’s President of Visual Effects. Under the terms of the acquisition, Technoprops will now operate as The Fox VFX Lab and the division is currently planning to open a virtual production facility in downtown Los Angeles, at which Derry’s team will operate and be headquartered. Glenn Derry heads up Technoprops and this acquisition is far more significant than it might first appear. 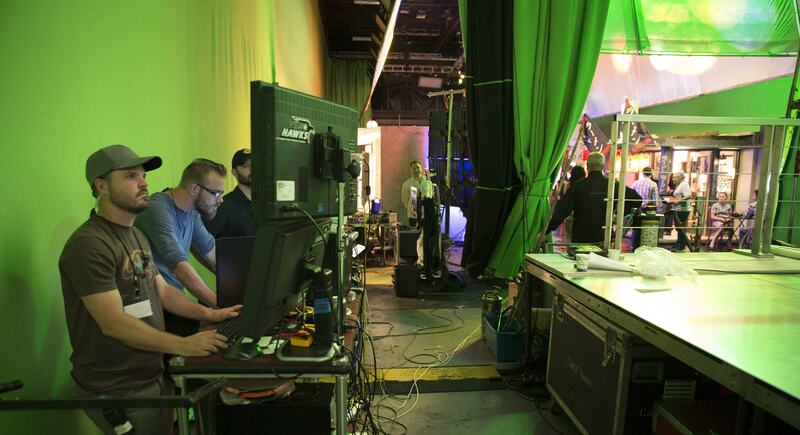 It signals Fox Studios major commitment to a new way of making films: full Virtual Production. 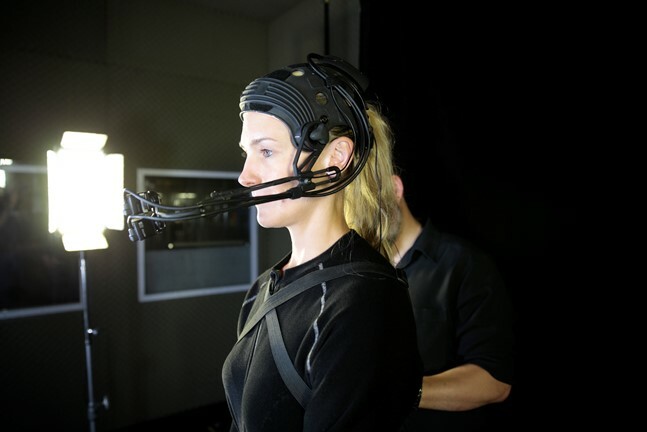 Technoprops is known as the 'go to' place for wearable head rigs, such as seen in last year's SIGGRAPH Live winning EPIC Games / HellBlade demo. Fox's move to buy the company and have its founder as VP of Visual Effects signals a commitment to virtual production at the major Hollywood studio. "The truth is, I built a 2 way communication setup during prep for Rock of Ages so the vocal coach with the cast in Florida could work with Tom at his home in LA. It was actually a fairly complicated thing to do given the latency between systems and the drastic volume changes involved while singing. We put racks of gear in Tom's living room and I ended up spending a lot of time at the house as "tech support". Tom was pretty amazing belting out the 80's tunes - the guy is super talented"
Apart from controlling 'Teddy' in Steven Spielberg's A.I. Artificial Intelligence , virtual production supervising Avatar, simulcam developing and supervising on Disney's The Jungle Book, and facial capture supervising at ILM on films like Warcraft, - Glenn Derry is also rumoured to have once personally installed Tom Cruise’s advanced TV, and taught him how to use the remote! 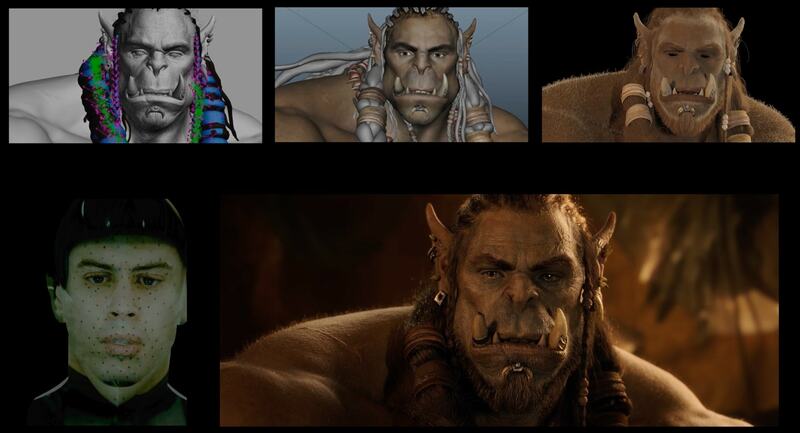 Technoprops movie and games credits include, Avatar, Warcraft, Avengers - Age of Ultron, Disney’s The Jungle Book, and Halo 4. The company provides many services including many to help with Virtual Cinematography. One such tool is the Pro Virtual Camera. This is a wireless Virtual camera built for camera operators. They are low latency wireless "smooth" camera controllers. All the buttons, triggers, and pots are professional grade and use the same type of input controls that the camera operators normally use. The standard configuration has 2 button handles on each side of the monitor and a "swing" motion monitor operators you can work from any position. This provides Steadycam, dolly, crane, handheld or almost any shot type or configuration at the touch of a button. But it is in digital character work that Technoprops are best known. "I've had the good fortune to work with Glenn Derry and his team on several productions now: Teenage Mutant Ninja Turtles, Warcraft, Teenage Mutant Ninja Turtles: Out of the Shadows, Dr Strange, Rogue One, and Skull Island to name the main ones. My experience with him has centered around on set facial capture and I can tell you that they build the best head mounted camera rigs available, and their expertise on set has always resulted in smooth shoots, comfortable actors, and top quality data acquisition. If Glenn and his team in involved, I always know we're in great hands." 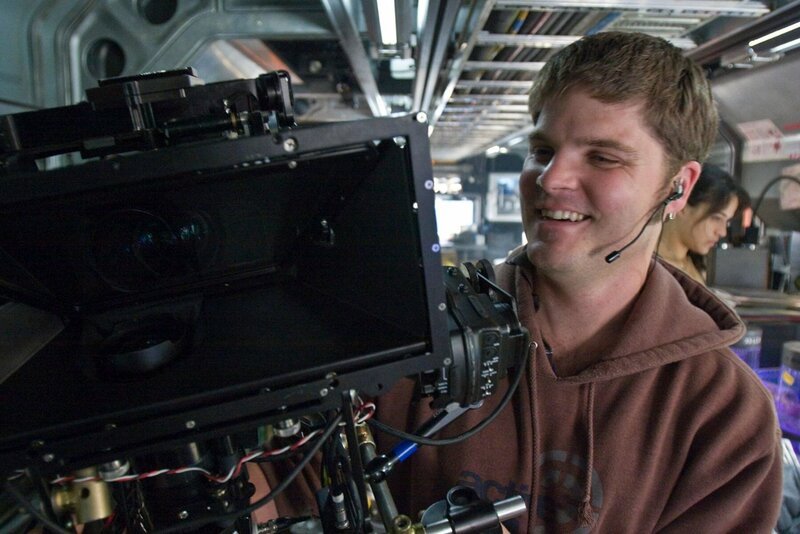 explained Brian Cantwell – Facial Capture Production Supervisor, Industrial Light & Magic. 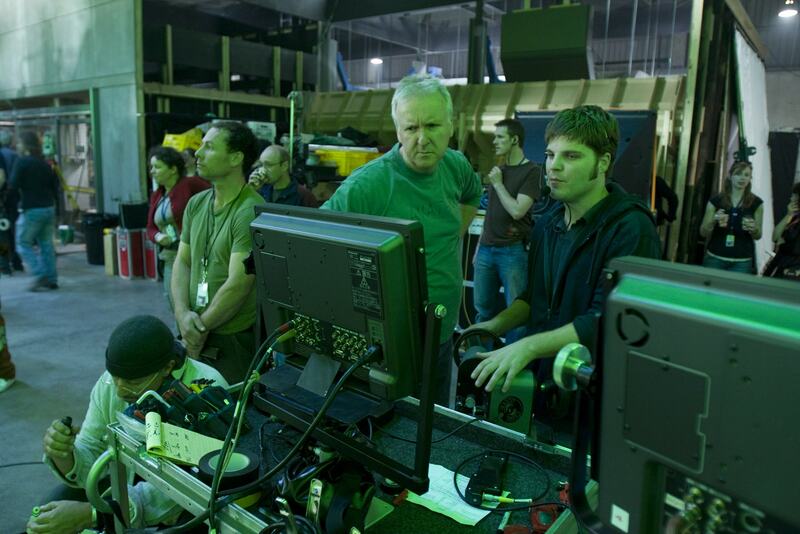 Derry is well known for his work on Avatar where he was centrally involved with the first use of actor head mounted cameras and virtual production. " “Glenn built the Avatar head-mounted camera rig that became the reference for future facial camera workflows. Glenn’s gear was the first to deliver the wireless video signal for our FACETS facial tracking system.” commented four time Academy award winner Joe Letteri, co-founder of Weta Digital in Wellington. Joe Letteri won the Oscar for Best Achievement in Visual Effects for Avatar in 2010. He shared this win with Richard Baneham, Andrew Jones and Stephen Rosenbaum. Stephen Rosenbaum has just finished work as Visual Effects Supervisor on Kong: Skull Island but he recalls his time on Avatar and working with Derry. 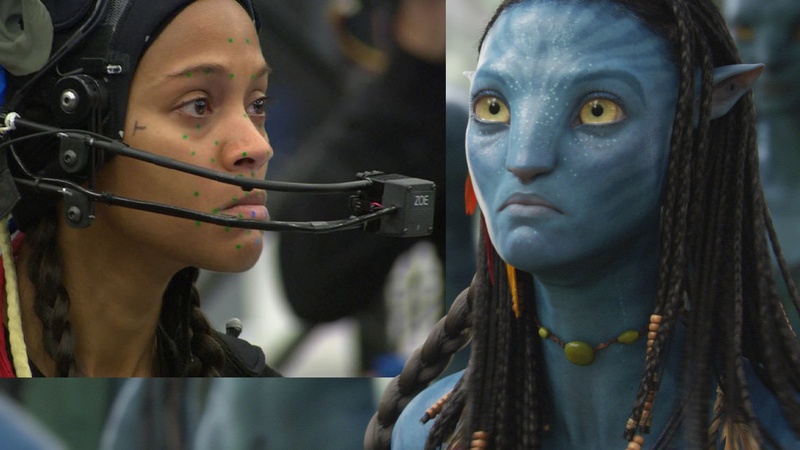 The two worked literally side-by-side for 2 years on Avatar during all the Performance Capture in LA and live action in Wellington. "If you’re looking to engineer an innovative imaging system that involves the latest technologies in robotics, optics, computers, and any other finely tuned disparate mechanisms running on electricity, Glen is the guy most of us think of to figure it out. I would say, however, the only thing that outclasses his genius is his faultless good nature. I hate him. ;~)" joked Second Unit Director and Oscar winning Visual Effects Supervisor Stephen Rosenbaum. Andrew Jones, who was also an Oscar winner for Avatar, just won another Oscar for his work on Jungle Book. This is yet another film Technoprops was involved with. Glenn Derry was the Simulcam Supervisor on Disney's Jungle Book. The film was supervised by three time Oscar winner Robert Legato. In addition to the direct Simulcam work he solved many practical problems on set including the so called 'Faverator'. 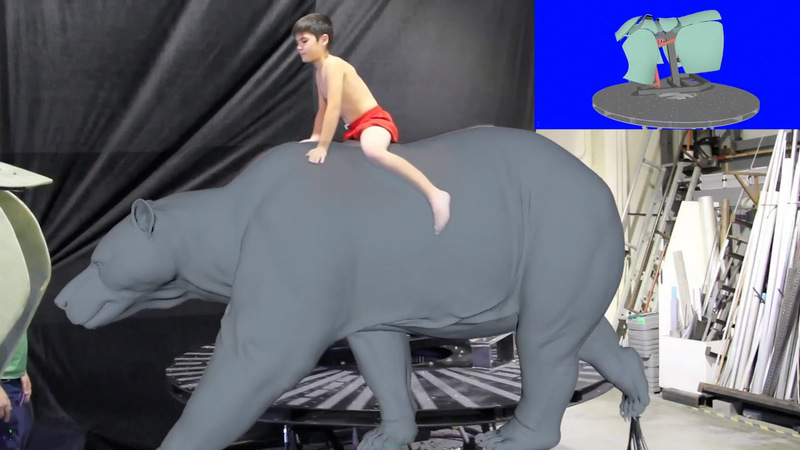 This was the rig in the Jungle Book, that actor, Neel Sethi rode on that gave him realistic interaction while riding on Baloo. It is a 6 axis motion base that has additional dynamic interactions on top of it so that Director Jon Favreau could have Sethi affected by Baloo's shoulder blades , for example, while also inheriting the overall motion of the bear as he walks. "He has been a very close ally and resource for me over the years,... a very bright guy, who is easy to work with" commented Legato about Glenn Derry. "On Jungle Book we did the Faverator rig, I had the boys at Legacy (Legacy Effects) build a contoured 'buck' that would react to 'muscles'. So when the animal it was imitating would raise one side of their body up, and their shoulder blades would move, that would lift Neel up etc", (in addition to just rocking side to side). The team did this by creating an animation first, and then the mechanical buck would move almost identically, allowing a seamless integration of live action and animation, with on set preview and visualisation using Technoprop's Simulcam system. "He is just a great guy, he can do anything,.. he can create or build just about anything, - he's a really valuable resource". Rob Legato first worked with Glenn Derry when Glenn's video assist company Video Hawks did the on set video for Martin Scorsese's Aviator. "He was way brighter than any video assist guy - I had ever worked with, he was way overqualified ,... I realised he knows so much more than anyone would have thought, and then I found out he was on Jurassic Park at 16 !" Actually, it turns out that "I officially started full time at Stan Winston Studios when I was 19, though I worked there along with my dad a during the summer, - so when I was 16 I worked on the set of Jurassic Park wiring up card cages and such", Derry explains. He did end up at Stan Winston Studios full time working on Jurassic Park: Lost World, in the Electronics Department as a Puppeteer. He stayed at Winston Studios for some time. 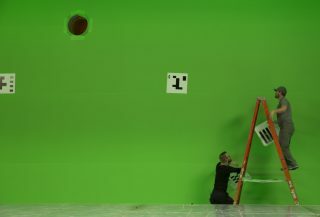 After the Aviator, Legato got him to help on Avatar building on techniques the two had actually started developing for virtual production on the Aviator plane crash sequence. It was then that Legato was surprised to learn Derry had his own Discreet Logic Flame system. "I did ! ", Derry recalls "I did Prevized/3D Tracked shots with Oliver Hotz. 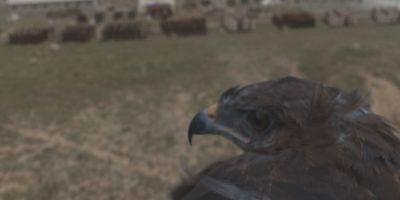 Aviator was a really cool mix of live capturing camera moves into a previs system and then using the moves directly for Motion Control Model photography. 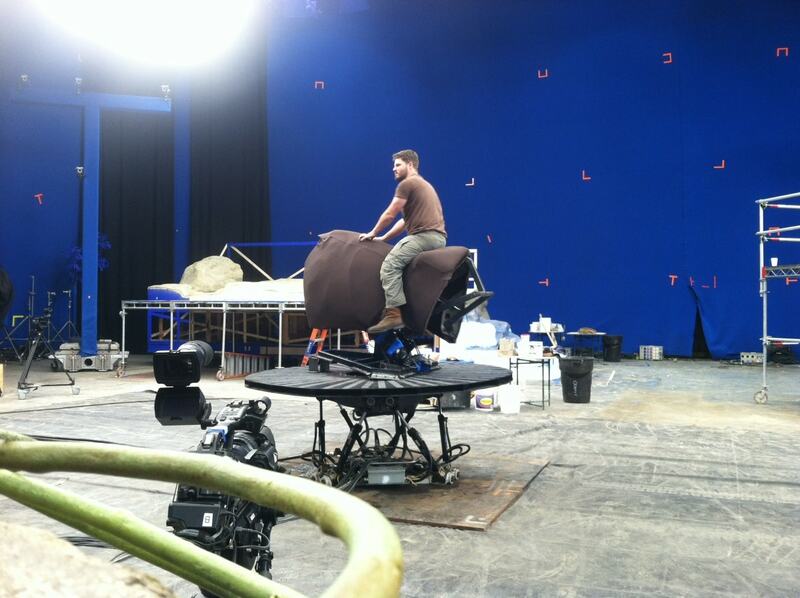 It directly influenced the initial prototype work on Avatar that Rob was in charge of". 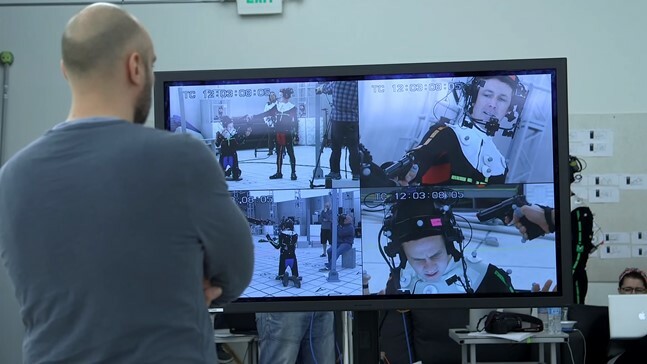 Rob Legato adds, "when I was doing the testing on Avatar I hired him to help with all the video, and then he started building the face cam helmets and eventually when I left he took over R&D-ing and the Simulcam idea". Rob Legato and Glenn Derry worked together most recently on the new TV show Orville, for Seth MacFarlane. The program is an homage to Star Trek miniature work. Legato was Visual Effects Supervisor or Coordinator on 63 episodes on Star Trek the Next Generation (ST:TNG). MacFarlane wanted to produce miniature work that was very much of the style of ST:TNG but with modern tools and previz allowing it to be done at a much faster and with full playback on set. "Next Gen was a favorite of Seth MacFarlane, and so he basically made his own Star Trek style motion control shots for the new show". Legato contracted Technoprops to not only help film it but "Glenn's company made the models as well". (More on the new Orville series and the amazing motion control miniature work coming up on fxguide). 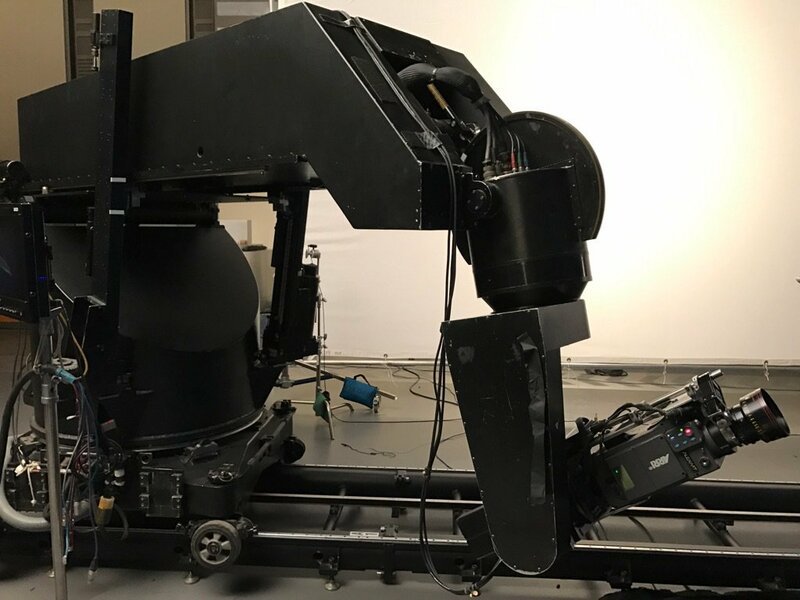 Motion Control Milo tweeted by Seth Macfarlane from the miniature set of Orville. "He's a stone cold genius" explains Legato. "He is incredibly bright guy but he is so personable,.. he gets hands on, heck he wired up all my gear in my basement, he doesn't have to do that ! But he is just happy to help and share, he just likes doing stuff like that.. he is not beyond doing stuff like that even though he is incredibly bright". He adds, "and he's like that on set, if you ask him a question he will often do it himself, which I admire". Ben and Glenn doing it themselves on set. "He loves the low tech solution to a high tech problem" comments Legato pointing out that many times on set he has felt that Derry doesn't just want to solve a problem - "he and also Ben Grossman, ... on set it is as if they are not happy unless they can solve something in the 'cheesiest' way possible, - that's the fun part.. almost like a magic trick... here is this great brilliant solution but we just used an iphone flipped upside down, shot into a mirror and that is what worked... and for them, that is even more fun than just spending a fortune". Rob Legato shared his previous 2012 Hugo Academy award with: Joss Williams, Ben Grossmann, and Alex Henning. Both Grossman and Henning are co-founders of Magnopus the Visual Development and Experience company. Glenn Derry has worked with this team again for years and has a close working relationship with Magnopus. "Most people on a movie set fall into one of two groups: those who work with Physical things, and those who work with Digital things. Glenn Derry connects those two, and there are very few people like him. Because he bridges the physical world and digital world, he probably knows more about both of them than anyone I’ve ever met. That amount of knowledge would be intimidating if he wasn’t always smiling and patient (even after hour 20 on a shoot day)." Explained Ben Grossman of Magnopus who has known Derry for many years. "He has been responsible for creating much of the technology we use in virtual production today, despite everyone repeatedly saying what he’s doing 'isn’t possible.' Many of the workflows, and companies built to support them, that we know in filmmaking, owe their existence to his dissatisfaction with the way things work, and his drive to make them better. When we're tackling the unknown on a movie set, we think of problems in terms of probabilities. “How likely are we to get that complicated thing actually running reliably so we can shoot with it under pressure?” When Glenn is on your team, you only need to ask how long it will take, not whether it’s possible. He and his team probably started working on it before you had half of the idea out of your mouth. A movie set is full of people who have great ideas. But Glenn is usually the one who makes them into 'things', engineered to withstand abuse, and with the features you would have asked for next, if you had even been able to imagine that far. " “When you work with Glenn, not only do you see someone who can get anything done, but he is the kind of guy who can change how films will be made.“ Hao Li, Director of Vision and Graphics Lab Institute for Creative Technologies USC-ICT. Technoprops has also been working with Di4D. Recent projects that have used DI4D’s solution include Ubisoft’s Rainbow Six Siege White Masks trailer featuring Angela Bassett, the Mafia III worldwide reveal trailer, and Quantum Break, the highly anticipated video game developed by Remedy Entertainment and published by Microsoft. At GDC DI4D announced a collaboration between Technoprops and DI4D that will enable them to bring even more true-to-life and ground-breaking facial animation to their future projects. 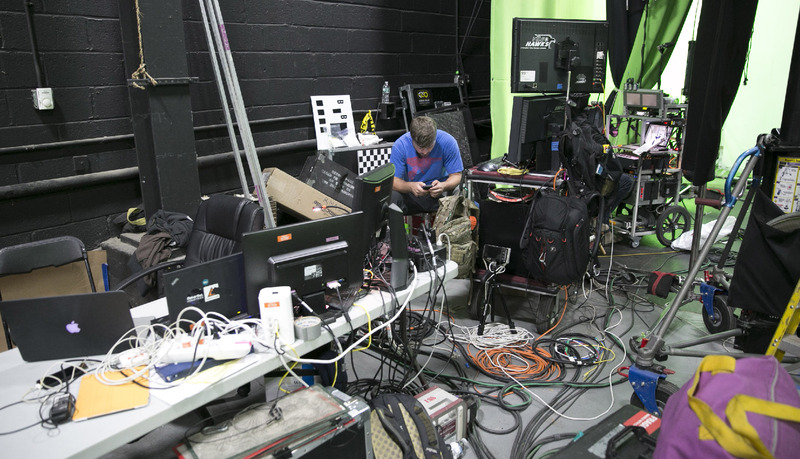 The work in Virtual Production is much more than Pre-viz on set. Although many Previz companies use similar engines such as Unity and UE4, the agenda Derry is setting at Fox Studios is much more advanced. As Vice President of Visual Effects at Fox, he aims to completely advance the notion of on set virtual production at the Studio. "We are starting a completely new division that will operate as a stand alone company at the corporate level. Fox is truly buying into the concept starting with a new 32,000 sq ft facility and stages. We plan on covering many shows at once" he explains. 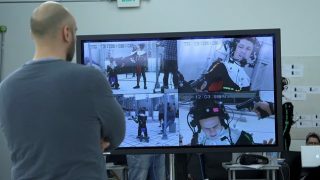 "We want to see how far we can push the limits using real time visual effects, virtual sets, integration and all the other fun stuff we are known for!" The Technoprops team is the core of a whole new enterprise, but "we are hiring now and are building a pipeline from scratch, with the prime focus on real time visualization. We are the spearhead of production - not just ‘virtual production’ – the key being that Fox believes that these hybrid techniques will be the future of films". The new facility will be in downtown LA, which is part of a broader movement that has seen companies like Magnopus and others all open in Downtown LA, reversing a decade long trend of moving the other way, towards Santa Monica. "We are always fighting as an industry, that you build something for every single show, and then it gets torn down or deleted and never gets used again. At the studio facility level you can maintain the IP and assets...even for smaller shows. We can add value on the front end and solve problems, and allow the creatives to hit the ground running." Derry explains. "Everything becomes easier for them, it has always been my desire to get into the production earlier and not just in terms of VFX, but with everything so the film you make can become just that much better". Fox has bought into this concept wholeheartedly. The studio has been investing in related areas for some time, pushing VR experiments and context for example, but nothing on this scale. Fox wants an integrated approach from start to end of the production, from "AAA Game level previz" to the building an ongoing IP that the next film can utilize, he explains. Derry believes that "if you incorporate virtual production on the front end correctly, - edit and create the story as filmmakers and it works when it looks like a video game - then it is going to be that much better when the backend work is complete". Derry points to the work that companies such as Chaos group's V-Ray is doing, and Lucasfilm's ADG team and ILM doing realtime work on Rogue One for the last Star Wars film, as part of an industry wide movement in this direction. "It is not just one little team looking at this, this whole area is opening up across the board - all at the same time". Derry aims to be at the centre of using these tools and new technologies and then pushing them further and making the tech embedded at the studio so it is easier for all of Fox's directors to utilize. Fxguide was recently interviewed for the Freakanomics podcast. Something that did not make the edit of that interesting NY podcast was fxguide's Mike Seymour's comments that the industry is not without hope. He commented that virtual production offers a real chance for some of the issues facing vfx. In particular, involving everyone on set, increasing planning and being more inclusive of the DOP and other key creatives are all net positives for our industry. It is then appropriate to give the final word Glenn Derry's friend Ben Grossman, who commented that several times Glenn " solved a VFX problem that we’ve had for years and have never been been able to get right". The industry can only hope his next success is to solve advanced virtual production on set for Fox studios and herald in a new era of movie making. Ben Grossman shared this final image...Glenn in his element backstage.. with his Technoprops kit.